Brattle Publishing Group, LLC, 9780985429546, 227pp. Meet twin sisters, Celia and Alice, whose bid for freedom from their evil stepmother leads them on a hilarious journey through a world of fantasy and imagination. 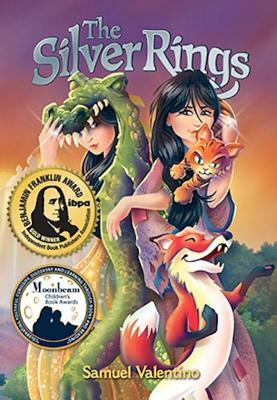 Join the sisters as they encounter a sarcastic fairy godmother, giants, charming princes, an overly dramatic fox, and more Readers will recognize familiar themes from their favorite tales and read new ones taken from cultures around the world. Author and illustrator Samuel Valentino has cleverly woven together a delightful fairy tale that teaches us resilience and creative thinking pay off in the end. The book includes illustrations from author and illustrator Sam Valentino that will delight readers. Samuel Valentino has a love for telling children s tales. For over 10 years, he has been creating his own unique books as personalized gifts to each of his children. These books have been his inspiration to create this full-length children s fair tale that he also beautifully illustrates. Sam has been writing and illustrating for as long as he can remember. From his early crayon beginning, Sam has moved on to almost all media. From sketching storyboards and animated commercials to painting murals in childcare centers, Sam has tried it all. A lifelong writer and reader, book illustration remains one of his most enjoyable art endeavors. Sam lives in the Greater Boston area with his wife, who is a wonderful graphic designer and just plain wonderful in general. They have three children, all of who like drawing. Unlike their father, however, they are also musically talented! Sam is also the illustrator of the award-winning title The Last Akaway. "